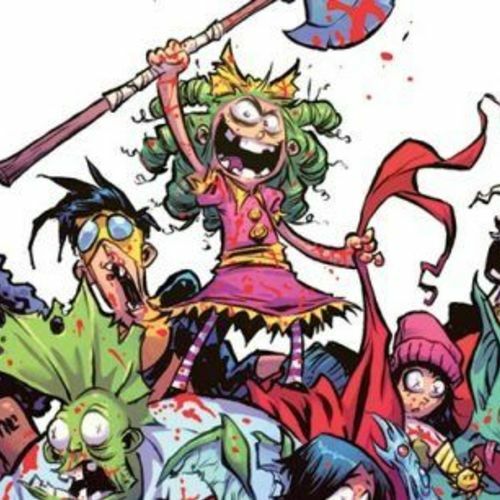 So last year I did a fan dub of one of my favorite comics I Hate Fairyland. We had so much fun with this comic that we want to do a few more issues. Just in case you missed it here is the plot. The story is about a girl named Gertrude who was sucked to a world of magic, laughter, and joy. Upon arrival she was to go on an adventure that would only take a day to complete. Gert gets lost, so 27 years later Gertrude is still in Fairyland and the wide-eyed little girl has grown into a hateful, miserable, disgusting, potty-mouth stick in the mud. Now, the queen of Fairyland REALLY wants her to leave because Gertrude leaves a trail of candy coated blood where ever she goes. If you want to watch the first volume here is the link. Everything is going on my Youtube Channel. She is the main character of this story. If you are uncomfortable with yelling don't audition for this role. She has a lot of pent-up aggression and screams a lot. With all that being said it's all played up for laughs so have fun with it. 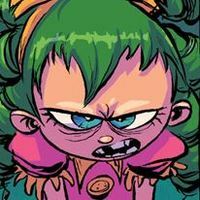 This girl is short tempered, vulgar, violent, and angry. She's basically a 30-year-old who is been trapped in an eight-year-old body for 27 years. So a lot of intense emotions come from that. She just wants to go home. Larry, shut your maggoty mouth. I'm trying to slow-mo away from this explosion and you're killing my vibe."" ( Larry tells her to shut up )""
They're totally alive and I'm eating all of them! Huh. Yeah, that's a lot. I don't think I'm THAT hungry. Thanks for the hospitality Sluggy! I'll keep in touch! ( runs away and jumped out the window )""